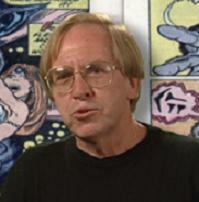 Roy Thomas is a comic book writer and editor, and Stan Lee's first successor as editor-in-chief of Marvel Comics. He is possibly best known for introducing the pulp magazine hero Conan the Barbarian to American comics, with a series that added to the storyline of Robert E. Howard's character and helped launch a sword and sorcery trend in comics. Thomas is also known for his championing of Golden Age comic-book heroes — particularly the 1940s superhero team the Justice Society of America — and for lengthy writing stints on Marvel's X-Men and Avengers, and DC Comics' All-Star Squadron, among other titles.